If you are into collecting watches, it seems to be some kind of quest or grail to – at some point – get a watch from your year of birth. Just recently, I paid attention to some topics on TimeZone and the UK based TZ-UK watch portal about getting a watch from your birth year. It seems that Omega, Rolex and Breitling are very sought-after brands for the birth year purpose, as they are when it comes to watch collecting in general as well. Earlier this year, I had the same goal, getting a nice watch from my year of birth, 1977. Since Omega is the brand that started this watch madness for me, I was always on the lookout for a Speedmaster Professional ref.145.022 that dates back to 1977, but it seemed that I was only to find models from either 1976 or 1978. 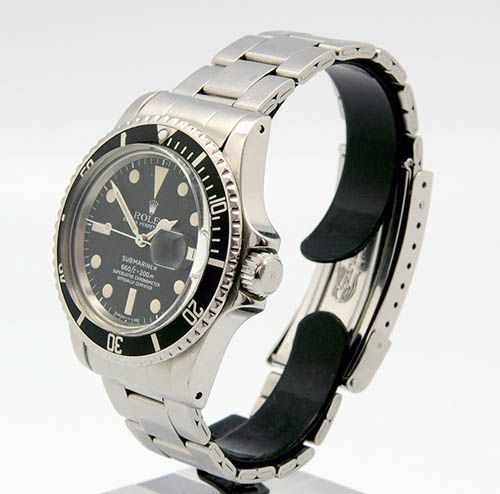 Last March, I found this Rolex Submariner at SubGMT.com that dates back to my birth year. A ref.1680, which means it is a chronometer certified Submariner with a date window (and cyclops), a model of which I always thought it was one the nicest Submariner models around. In some cases it is good to be old :-), as the 1940s and 1950s was an era of beautiful and classic timepieces from Omega, Patek Philippe, Jaeger-LeCoultre, Vacheron Constantin and so on. If you are ready to jump and start searching for your birth year watch, make sure to have enough proof that it is indeed a watch produced in your year of birth and that it as original as possible. Especially the last remark is important, especially with brands like Rolex. If there is a replacement dial, hands or the slightest doubt on originality of other parts, the value of the watch will drop significantly. Since I got it, I wear it regularly and like it very much, but it doesn’t give me the sentimental ‘birth year’-feel that I thought it would give me. Since I am born in 1977, the first watches I can recall being interested in, are those of the 1980s. Think digital Casio and Seiko models. 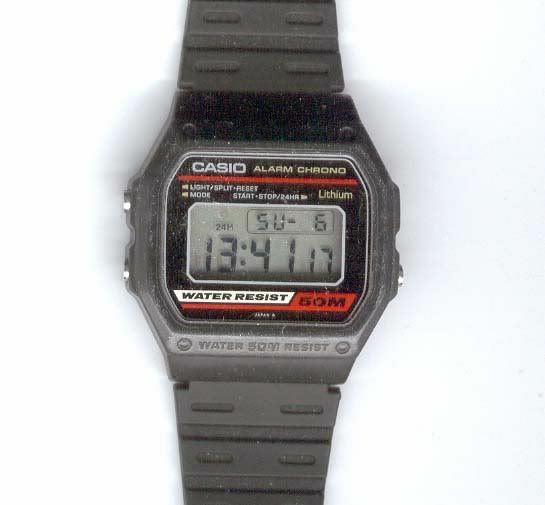 I still have my first watch, a Casio digital black sports watch from 1986 or 1987. As it seems that I am not the guy that needs to have a ‘year of birth’ watch, I decided to put my Rolex Submariner ref.1680 for sale. Click here when you are born in 1977.